One person is dead in a fiery wreck involving an SUV and a dump truck in the Coker area in Tuscaloosa County. Alabama state troopers responded to the scene of a wreck between a dump truck and SUV in the westbound lane of Highway 82 at 7:45 a.m. Drivers can use Highway 140 or Mount Olive Road to get around the scene. The SUV caught fire and one person in the vehicle is confirmed dead. Both sides of the highway are closed, causing major delays. One person has died as a result of an accident between a dump truck carrying asphalt and an SUV Thursday morning near Coker. The accident was reported at 7:30 a.m. at the intersection of Highway 82 and Sam Sutton Road. A person in the SUV has died of their injuries. The truck driver was taken to DCH Regional Medical Center for treatment. Northport police say Highway 82 will be closed all day as they investigate the crash. One person was killed in a fiery crash on U.S. Highway 82 Thursday morning. The accident happened as the SUV driver turned west onto Highway 82 from Falls Cutoff Road, said Officer Carrie Baker, Northport Police spokeswoman. Farther down the road, at the corner of Sam Sutton Road and Highway 82 are three crosses marking the spot where three young men died in 2011. She said that Sam Sutton Road, which turns into Falls Cutoff on the south side of Highway 82, should be closed, even though it would inconvenience motorists. That stretch of highway is just west of Northport in the Coker area. Coker resident Jared Thomas Gresham, 18, was pronounced dead on the scene Thursday morning after the SUV he was driving collided with and Rand D dump truck and caught fire just before 7:40 a.m.at the intersection of Sam Sutton Road and westbound Highway 82, according to Northport police. Officers believe the dump truck, which was hauling asphalt, was traveling west on Highway 82. They believe the SUV was traveling from Falls Cutoff, headed across Highway 82, to Sam Sutton Road. ALDOT officials are proposing to close the Sam Sutton Road cross over to make the intersection safer. The Northport Police Department says this is the 4th wreck and 6th person killed at that intersection since 2006. "That was the hard part, not knowing if my baby was in the vehicle, I'm sorry for whoever's family member it was in that but that was a hard five to ten minutes not knowing," said Tuscaloosa County resident, Becky Beck. Beck rushed to the scene on Highway 82 early Thursday morning to make sure her daughter, who travels the area, wasn't involved. Beck lost a loved one at the intersection in 2011. "This is a horrible place, there has been multiple accidents, there's been so many people died lost their lives here just the 3 young guys, Jared, Johnny and Brandon, all three lost their lives in one incident." As the trucking industry grows in Tuscaloosa County, more and more truck accidents are happening. 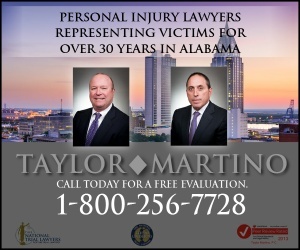 An experienced Tuscaloosa County truck accident lawyer is needed, to manage an insurance claim and hire experts such as engineers and accident scene investigators who preserve and document evidence. 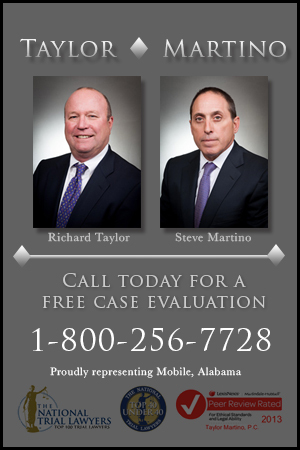 Go here to learn more about the next steps to take after a serious or fatal Tuscaloosa County truck accident.